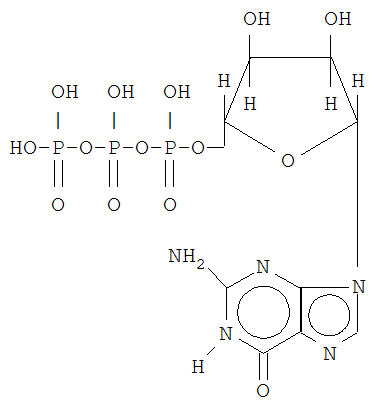 GTP (also known as guanylyl imidodiphosphate, guanosine-5'-triphosphate, or guanosine triphosphate) is a chemical compound (nucleotide) that is incorporated into the growing RNA chain during synthesis of RNA and used as a source of energy during synthesis of proteins. GTP is also essential to signal transduction in living cells, where it is converted to GDP through GTPases. GTP is involved in energy transfer within the cell. For instance, one GTP molecule is generated for every turn of the Krebs cycle. This is tantamount to the generation of one molecule of ATP since GTP is readilty converted to ATP.